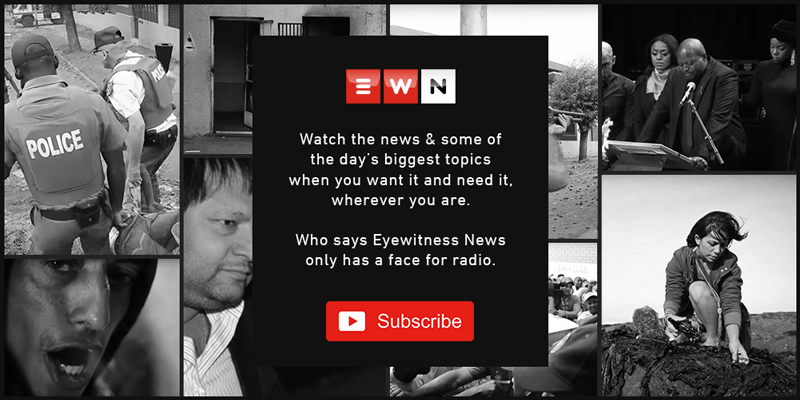 Kelly-Jane Turner is an Eyewitness News reporter based in Cape Town. The fair kicked off on Friday, showcasing a selection of 10 participating local and international artists. Party’s leader Kenneth Meshoe addressed supporters at the party's election manifesto launch in Kuils River, Cape Town. A SANParks employee was one of the four men arrested while trying to get away with a freshly cut set of rhino horns, a hunting rifle and ammunition. The Chamber of Legal Students representatives says it awaits reasons as to why Sans Souci Girls’ High is continuing with the disciplinary hearing of a learner at the centre of an assault row. Four men were arrested after trying to escape the Kruger National Park in possession of a freshly cut set of rhino horns, a hunting rifle and ammunition. The 50-year-old male driver sustained gunshot wounds to his head and was declared dead on the scene. The hearing has been postponed until further notice with the team making claims that the school has not followed correct procedures in dealing with the matter. Metro police’s Gang and Drug Task Team spotted a crowd gathering at Erie Court when the man made a run for it. Collaborative efforts from fellow fishing boats assisted in the rescue of all crew members. Resort general manager for Sun City Raul de Lima says his team, service providers and contractors worked without rest throughout the weekend. One parent said the school refused some parents entry into the hall where the reports were being handed out because of outstanding school fees. In total, more than 830 health sciences students were capped with undergraduate, honours and masters degrees. Entering the final week of talks, emphasis remains on addressing the rise in global average temperature, and the concerning emission of greenhouse gas into the atmosphere. The delegation includes Deputy Environmental Affairs Minister Barbara Thomson and Minister of Tourism Derek Hanekom.